Our Trainers are experienced, reliable, and focused on providing the stimulation and structure necessary to make your dog a good companion. They are also CPDT certified or working towards that certification. 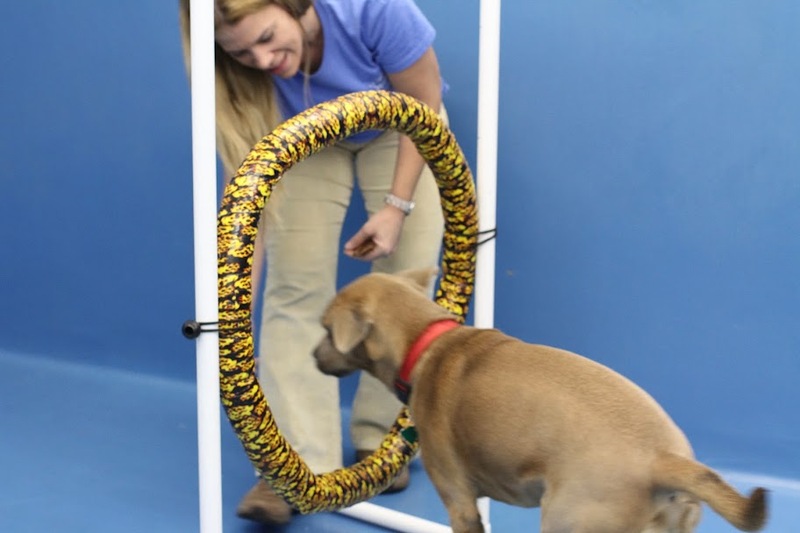 Our trainers believe in the effectiveness of positive reinforcement for training and behavior modification. Puppy Kindergarten is great for puppies. You will learn to teach your dog seven behaviors: name recognition, sit, down, stay, come, touch and leave it. The class also covers critical house training and leash walking techniques. This six week class is a great way to establish a lasting relationship with your new companion and provides a solid foundation for proper socialization with other dogs that will last a lifetime! This class is directed towards adult dogs or dogs older than a year that have just been adopted. You will learn to teach your dog seven behaviors: name recognition, sit, down, stay, come, touch and leave it! In addition, the class covers important training points that will help to integrate an older dog into your family. The Canine Good Citizen (CGC) certification is a certification provided through the AKC that rewards dogs in our community that have good manners, emphasizes the importance of responsible ownership, and is many times the first step towards making your dog a therapy dog. The CGC class is a 7-week course that will cover basic commands and everything needed to prepare you and your dog for the CGC evaluation. One CGC evaluation is included in the cost of the class. We also offer CGC evaluations, which take place the first Sunday of each month. Advance sign-up is required. This class, offered only a few times throughout the year, is an introduction to the fast-paced and fun sport of agility. Agility provides great physical and mental stimulation for dogs, and is a wonderful option for dogs that have a lot of energy. As a pre-requisite, your dog should know sit, down, and stay. We will learn the fundamentals of agility, and learn agility obstacles including the bar jump and tunnel. Our private sessions are tailored to fit you and your dog's individual needs at a time and place that is convenient for you. We will work with you at your dog's natural pace and ideal schedule, which may be faster or slower than that of an entire group class. 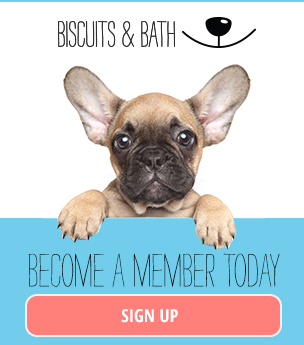 Lessons can be at your home or at a Biscuits & Bath location depending on your dog's needs and behavior situation. These 30 minute sessions take place while your dog is staying with us for day care and/or overnight care. Train and Play sessions are a great way to reinforce your dog's existing behaviors, provide lots of mental stimulation, or just provide some relaxation. Some popular Train and Play curricula are: basic obedience, agility, leash walking and leash manners, tricks, mentally stimulating games, and relaxing massages! This is for people that really want to give their dog an extra level of care during their stay - call us to discuss the possibilities! Please note that due to demand our Group Classes are NON-REFUNDABLE. All Private Lesson and Train-and-Play packages are NON-REFUNDABLE. No-shows for private lessons will be billed the full amount.